The first terrarium was created by a Victorian botanist called Nathaniel Ward. Ward accidentally left a jar unattended and a small fern spore grew into a plant. 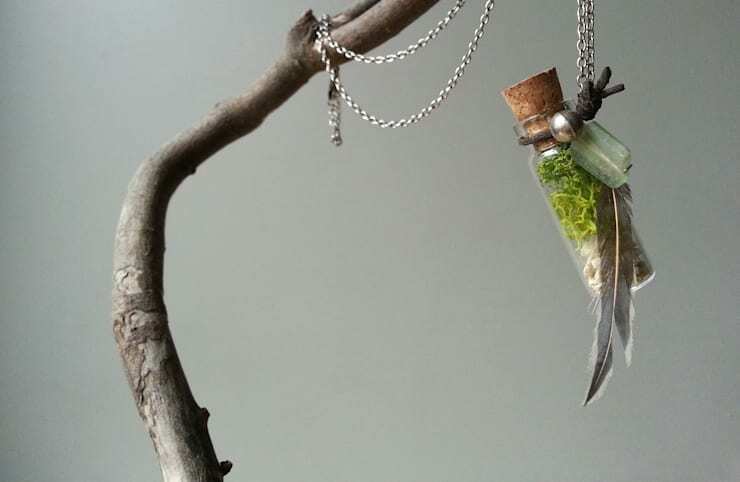 The terrarium trend soon caught on and terrarium keeping became a bit of a craze during the Victorian Era. 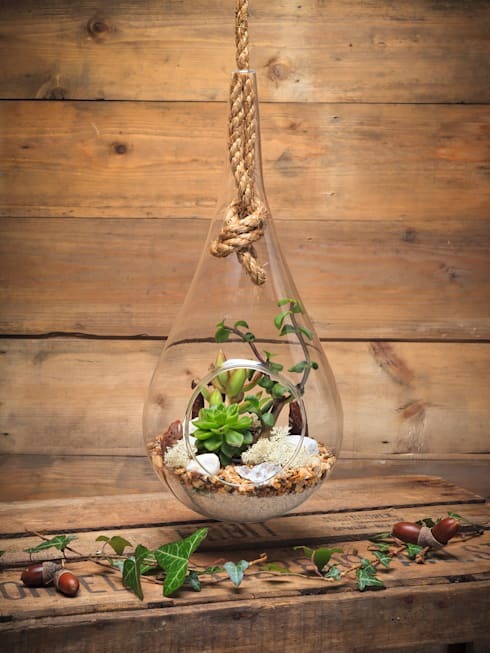 These days, terrariums continue to be one of the most popular indoor gardening choices. They are small, compact, extremely low-maintenance and easy to keep clean. For some of us, a terrarium is also an opportunity to turn beautiful old glass jars into an attractive display piece. Terrariums can be very easy to set up and almost no work to maintain. But this doesn't mean they will always thrive. It's still important to set them up properly. This means choosing the correct plants and accessories, the right kind of jar and drainage system. The goal is to create a mini garden that can successfully act as a self-sufficient little ecosystem. So when the plants' leaves release vapour, the beads of water will successfully trickle down the container to water the plant again. It's brilliant—when it works. 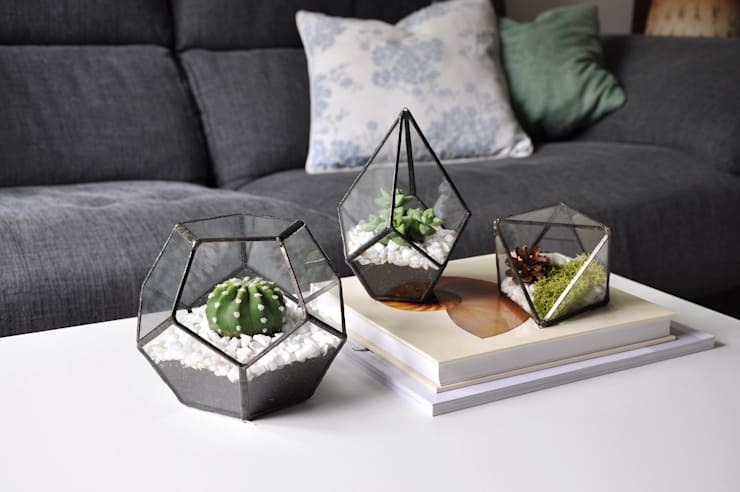 Here's homify's guide to creating your very own terrarium or mini garden. It's time to get green-fingered! It's generally a good idea to start with a small plant that fits easily inside your container. Succulents are a popular choice because they are compact and slow growing. But it's important to remember that succulents are dry plants, so they need to be in an unsealed, open terrarium. If you want a lovely, lush tropical plant variety, it's best to go with a closed terrarium. The humid conditions will mimic their preferred environment and they will quickly thrive. Moss, very small ferns, orchids and air plants generally do well in this kind of environment. But don't be afraid to experiment and add a collection of species. These are mini gardens, so they don't cost too much to populate. 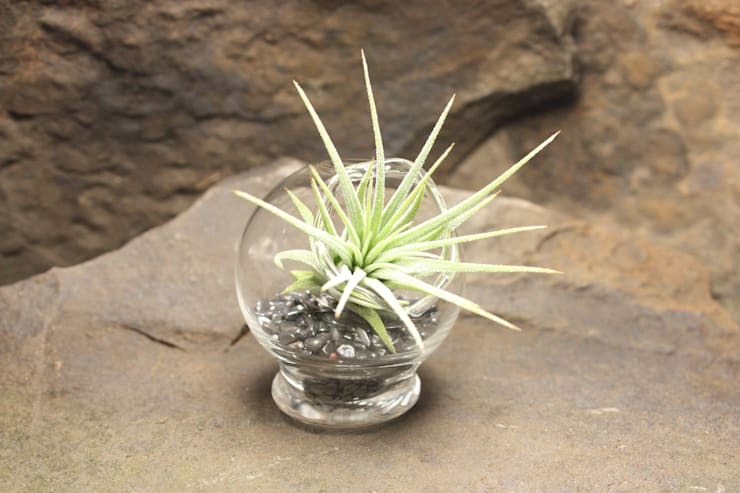 Your perfect terrarium jar could be small, large or quirky shaped. The only rule is that it must be transparent (so sunlight can enter). It should also be the appropriate vessel for your choice of plant. Look at testing out the viability of some old jars or adding a glass lid to a beautiful bowl. If you have an old fish-tank around the home, this would be the perfect way to bring it back to life. 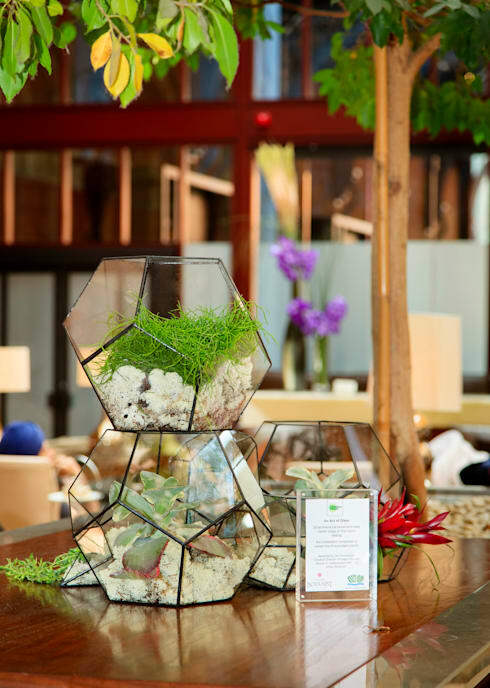 Finally, if you love this terrarium or the next one we will look at, check out The Urban Botanist. Place a half-inch of small gravel or clean pebbles in the bottom of the glass container. Terrariums usually don't have drainage, so this layer will allow some space for water to filter down and evaporate. Some gardeners like to add activated charcoal and peat moss as well. On your top layer, add two inches of potting soil (depending on your container) and make sure it doesn't clump too easily. The potting soil contains nutrients that will help the plants thrive. You might even find some potting mixture created especially for terrariums. This is usually a mixture of sterilized soil, peat moss, pearlite and sand. These additions are there to help fight bacteria and help with water retention. Do not ever use common soil from the garden—the mixture will not be sterilised, clean or free from harmful microbes and parasites. Move around your plants before planting to find a pleasing arrangement. It's easy to get fixated on one angle, so make sure to view it from all angles. Then remove as much soil as you can from your largest plant, trim long roots if needed, then make a small depression in the soil and gently replace the soil around the roots. You may need a pair of tweezers or tongs to reach inside small containers. Water sparsely. Keep planting, moving from the largest to the smallest plants. If you are adding moss, rehydrate it in water, then break it down into smaller bits and add where needed. Add your final decorations with some small rocks and little branches if you wish. Terrariums don't like direct sunlight, but they do like lots of ambient light. The new leaves will tend to grow towards the light, so you can rotate it and pinch off the new leaves to encourage larger regrowth. If you want to grow a terrarium in a shady area of the home, consider some artificial lights. Grow lights are commonly available in gardening stores. They are not to be confused with garden display lights. Grow lights are specially designed to emit a colour temperature that will help activate your plants grow cycle. Terrariums like neglect, so you will only need to water yours every couple of weeks at the most. If you can't see any little beads of moisture on the glass that means they need to be watered. If you have a closed terrarium, open it once a week to remove excess moisture and prevent mould developing. Don't be tempted to fertilise your terrarium. When the plants have used up all the nutrients in the soil, their growth will tend to stall. This is when you need to lightly scrape off the top layer of soil and add a little more potting mix. But most of all, take the time to enjoy your lovely terrarium! With a little regular observation, most issues can easily be avoided. Adore indoor plants? Then you'll love Inspiring Indoor Gardening Ideas! 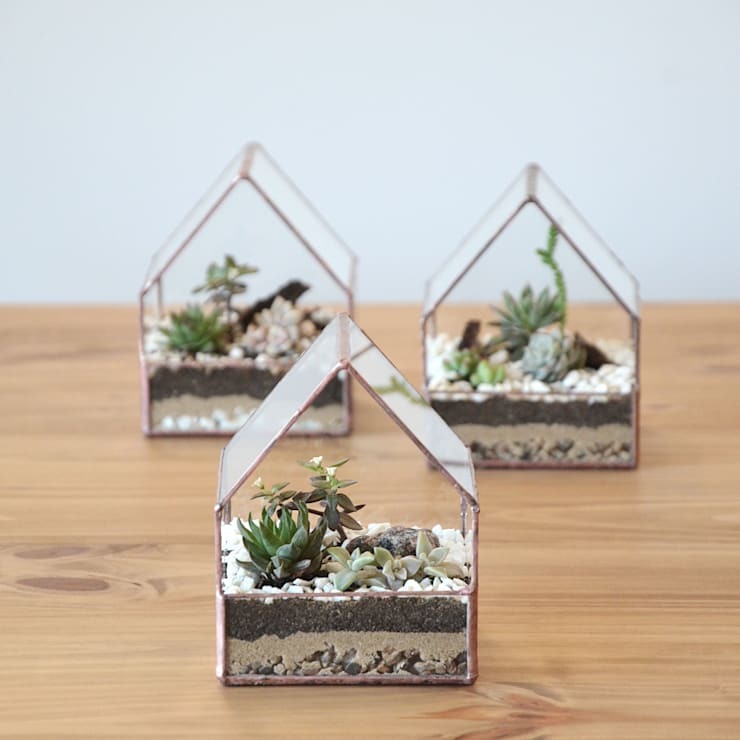 What do you think of these cute terrariums? Are you inspired to make your own? Let us know!